ProLayout: Basics is the ultimate package for templates in Final Cut Pro X. Utilize ProLayout: Basics to display friends and family, scenery, products and many more. Customize the color of scene elements, length and width of drop zone masks, and the style of the text using controls in Final Cut Pro X. Instantly change the vibe of your production using basic templates that can be edited with incredible ease. 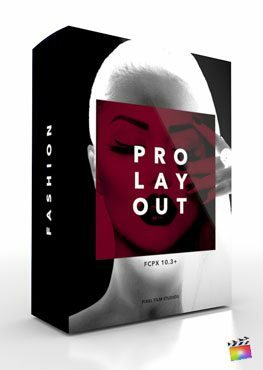 ProLayout: Basics contains an advanced 3-point framing camera system that allows video editors to easily create new camera motions with a few clicks. Using this system is intuitive. Simply move the playhead to the first frame of the ProLayout: Basics template. Adjust the position and rotation of the start camera controls. Then, go to the final frame of the template and alter the end camera controls. Finally, adjust the mid-camera controls to offset the camera’s path. Each layout in ProLayout: Basics includes an Environment Control section with its own set of controls. Each one of the 30 included templates includes reflections that users can alter by adjusting a few simple controls. Each template includes unique elements like bars, shapes, and patterns that can be altered by tweaking a few easy controls. Develop an impressive and unique scene within seconds. 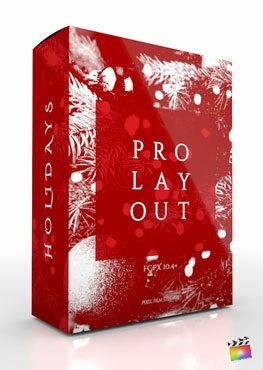 All ProLayout: Basics presets contain numerous layers of text that can be fully adjusted within Final Cut Pro X. Change the positional orientation and rotational angles of each text layer to create parallax effects. To change the font type, style, color, size and more simply double click on the text in the Viewer window to access Final Cut Pro’s Title Tab in the top-right section of the workspace. I installed ProLayout: Basics and see a red screen similar to this. Where do I find ProLayout: Basics? Once the installation is complete, you can find ProLayout: Basics in the FCPX Generators library. Where is the tutorial for ProLayout: Basics?